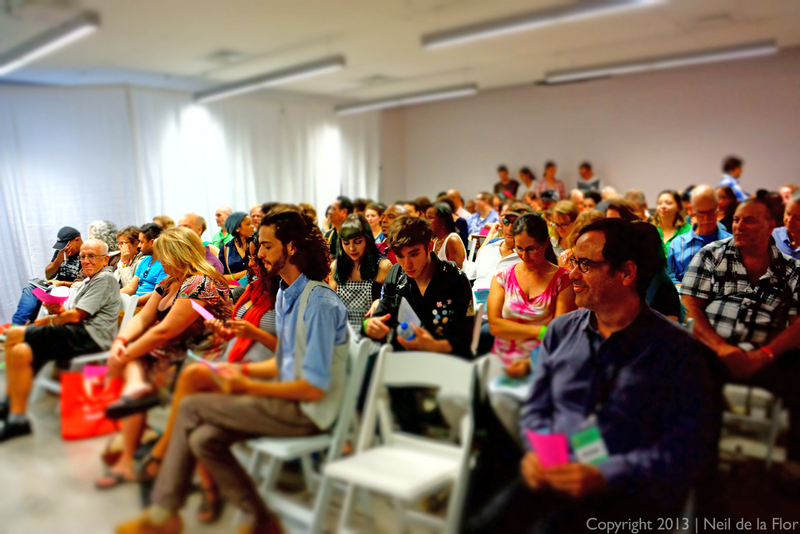 Audience listens to Reading Queer poets @ the 2013 Miami Book Fair International. 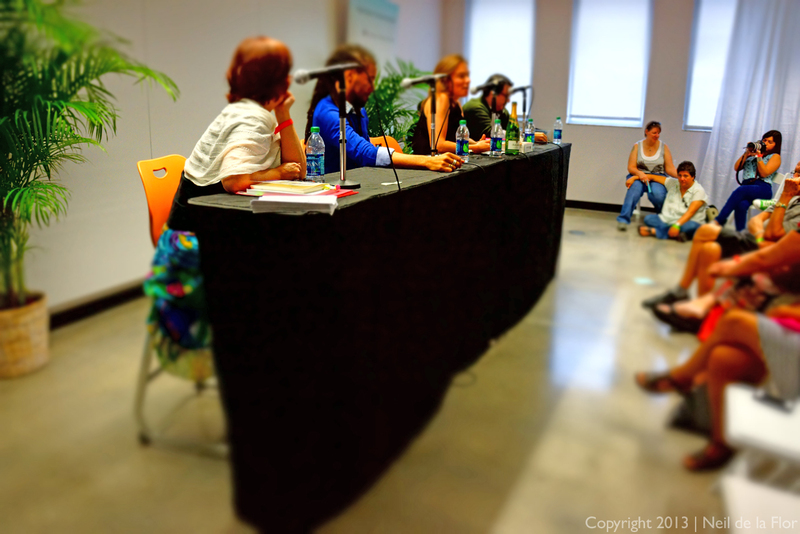 A big thank you to everyone who came out to support the inaugural Reading Queer event at the 2013 Miami Book Fair International. 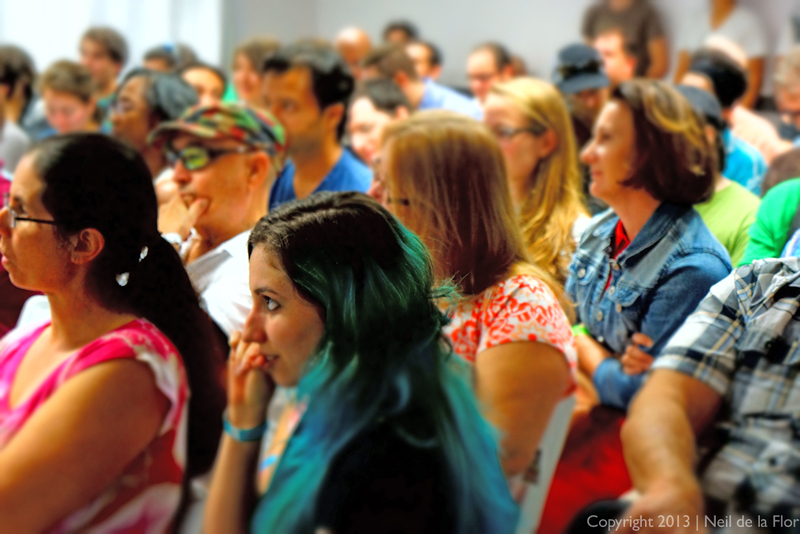 “I am the what-are-you: Queer Poetry/Queer Differences”, presented in partnership with the Miami Book Fair International, demonstrated that relevance, depth and reach of queer poetics. 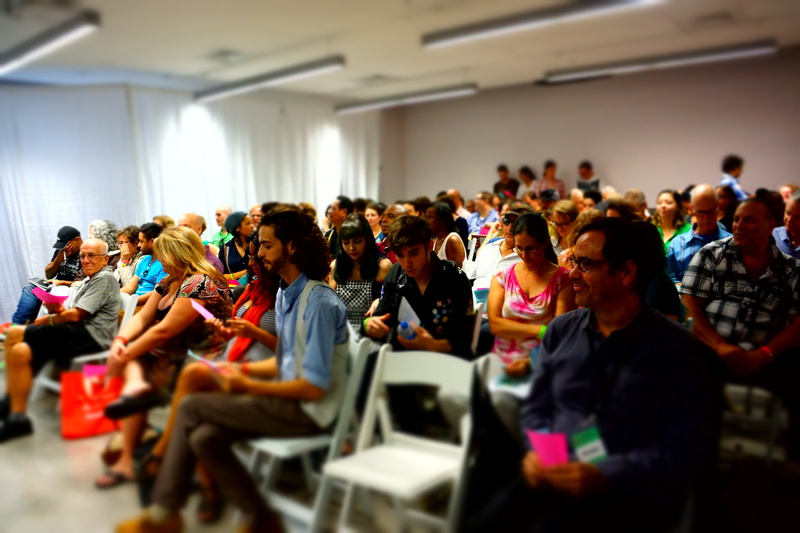 Audience settles down for Reading Queer poets @ the 2013 Miami Book Fair International. A packed room of over 100 guests, many of whom sat on the floor in the front and back of the room, listened to new, exciting and provocative work by poets Eduardo C. Corral (Slow Lightning), Maureen Seaton (Fibonacci Batman), L. Lamar Wilson (Sacrilegion), as well as a performance by Parker Phillips. The reading celebrated queer poetry & queer differences with poets who spoke from varied perspectives. Each of these poets gave testament to the rich and succulent diversity of queer poetics and the queer community at large. After the event, The Betsy Hotel-South Beach hosted a yummy post-Reading Queer poet dinner where we ate fabulous sushi at BLT Steak. Yes, the best sushi on South Beach is at a steak restaurant. Reading Queer poets Maureen Seaton, L. Lamar Wilson, Parker Philips & Eduardo C. Corral. Over the next few weeks, we’ll announce new programming for our Community-based Creative Writing Workshops, headliners for the Reading Queer Literary Festival and the tentative schedule for the RQ Salon Series. Until then, enjoy the images below & watch Eduardo C. Corral read from his book, Slow Lightning, winner of the 2011 Yale Series of Younger Poets award, for the Reading Queer inaugural event at the 2013 Miami Book Fair International. Reading Queer Miami Book Fair International – Poet Eduardo Corral from Amira Hadla Chomiak on Vimeo.